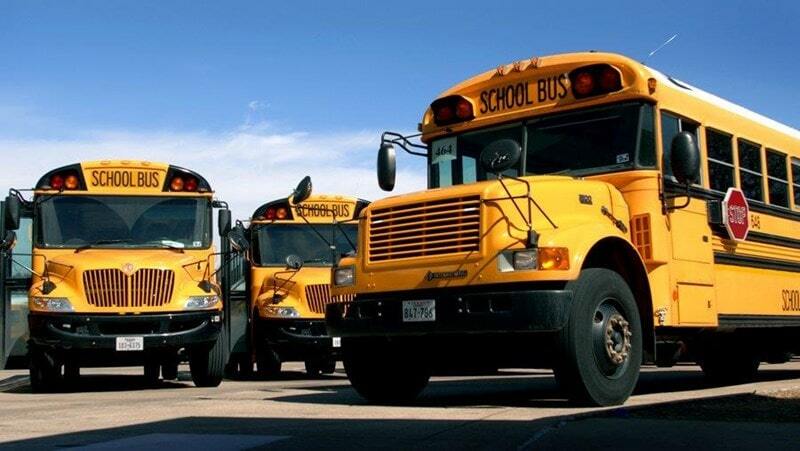 DALLAS—After 171 years of providing transportation, Dallas County voters have decided to split with Dallas County Schools (DCS). Following a storm of mismanagement allegations, funding shortfalls and internal shakeups 58.26 percent of voters say they’ve had enough. During the 2017 Session of the Texas Senate Dallas Senator Don Huffines called out the county wide school district during a news conference. Then alongside Senator Bob Hall, R-Edgewood, submitted a bill calling for a complete dissolution of the agency. He also alleged the agency “rips off” Dallas County taxpayers, and has mismanaged millions in funds. Huffines’ face-off with DCS began as a safety concern. From 2014-2016 DCS bus drivers incurred more than 480 traffic citations for running red light costing taxpayers more than $80,000 in penalties. In 2012, DCS spent more than $1 Million installing stop arm traffic cameras on their entire fleet. In August of the same year many cities levied $300 penalties when drivers failed to stop when buses were loading and releasing students. Ironically a number of the $80,000 worth of citations were caused by fellow bus drivers ignoring the stop arm cameras of nearby buses. Even more unsettling are the allegations that some bus drivers routinely left special-education students behind without a ride to and from school. During that same time period it was discovered, DCS had not fired or disciplined drivers associated with repeated traffic violations. After the spotlight was placed on DCS safety issues were the least of their concerns. Crippling debt and budget shortfalls resulted in defaulted bond payments, mostly recently of $73.5 million dollars. To date DCS reports a $42 million budget deficit. On June 1, 2017, DCS defaulted on some debt payments. During the 85th Legislative Session, DCS sent a draft of its 2016 financial report to the legislature showing a $17 million deficit. More pointedly former DCS Board President Larry Duncan and other administrators have been accused of misappropriation of funds. Duncan has been accused of receiving $245,000 in campaign contributions from vendors involved in disputed transactions. The red light camera vendor has been alleged to have kicked back more than $30,000 to DCS officials for the $1 million contract. The transportation agency received a short-term $8.75M loan from the state to cover operating expenses through the end of the year. Despite Tuesday’s vote DCS will fulfill its current contracts and transport students throughout the 2017-18 school year. The short-term loan will cost tax-payers over $370,000 in interest over 11 months. To help balance budgets, DCS has suspended a policy guaranteeing 30 hours of work for drivers. Proposals to cut other driver benefits are still under consideration by DCS management. A number of drivers were forced to take early retirement packages. Following the investigation in the 480 traffic citations DCS fired 13 drivers and suspended 229 drivers for 5 days. DCS Interim Superintendent Gary Lindsey has mandated a number of new initiatives aimed at keeping the institution afloat. Despite Senate Bill 1566 allowing Dallas County voters to split with DCS the agency provides services to schools statewide. In regards to recouping misappropriated funds DCS announced last week that they have retained “specialized” legal counsel. Lindsey says in a statement that DCS is preparing to pursue legal action against individuals and organizations whose conduct negatively impacted DCS operations. “DCS stands on strengthening education through service. And we will explore every action that hindered or continues to hinder that mission,” said Lindsey.